Apparently pilgrims are pretty damn good in our currently favoured ruleset Sword & Spear. Pretty damn good, if you just use them to generate order dice, that is! With that in mind I picked up some neat models from Dave Thomas at our recent convention in Ghent, and they’ve been a blast to paint up. 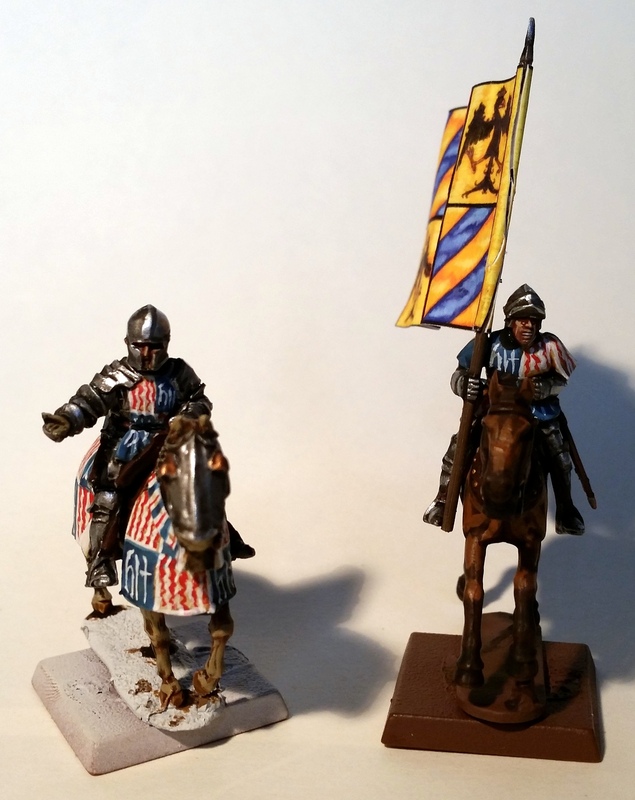 Models by (I think) Crusader Miniatures. I picked up a couple of blisters, one with armed male pilgrims, one with women and children, and then spread them out over a number of 40x40mm bases. A loose formation fits these models best, plus it means a lot less models to collect and paint in order to compose a unit! Using an infant as a shield: roll those saves! 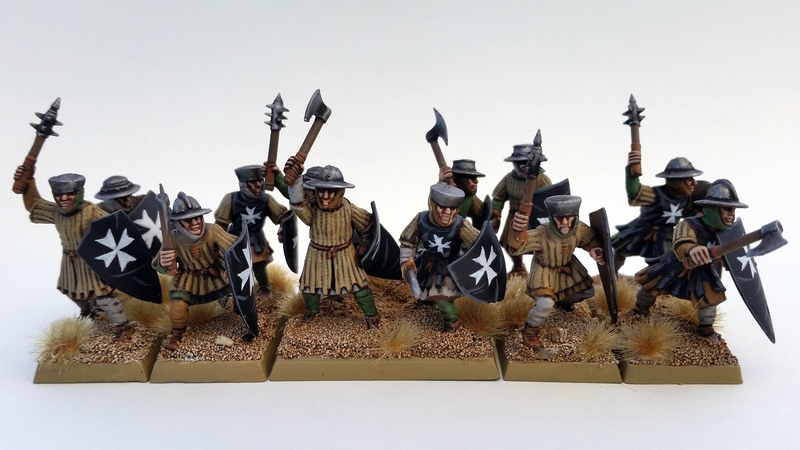 I painted them starting from a mournfang brown undercoat, blocked in some colours common to my other crusaders plus some that wre not, then washed with agrax earthshade. A couple of highlights, then the flesh and metallics and hair, and done. Really cheap, but quite effective. That’s it for this weekend’s triple blog update! I’ve a couple of things I’m working on simultaneously at the moment, so I’m not exactly sure what I’ll be covering next. As ever, I hope you enjoyed the article and check back soon for more. Tah! With the weather finally improving over here in gloomy Flandern, I thought I’d try out my phone camera to photograph miniatures in daylight. Quite pleased with the results below, as well as with the paintjob. 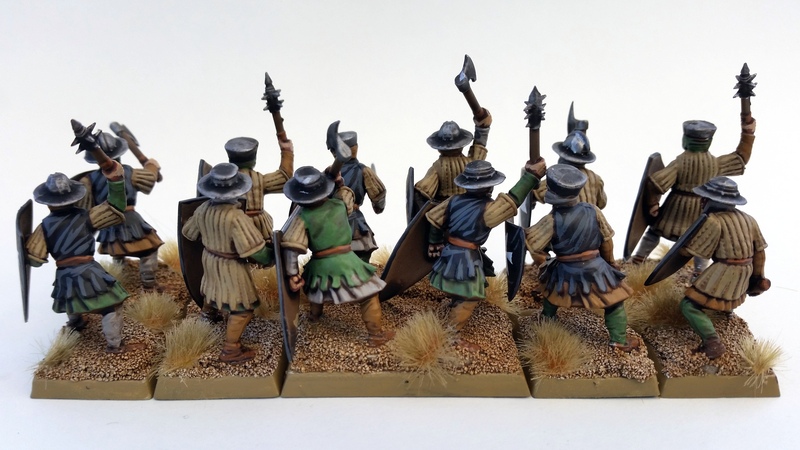 It’s been quite a while since I’ve done anything for my Hospitallers – some dismounted knights around the end of last year, but these probably won’t be seeing much use in my Saga games. I had built these plastic Sergeants by Fireforge Games quite a long time ago but somehow didn’t follow it up with a paintjob, but here we are. Fantastic sculpts, as you can see. 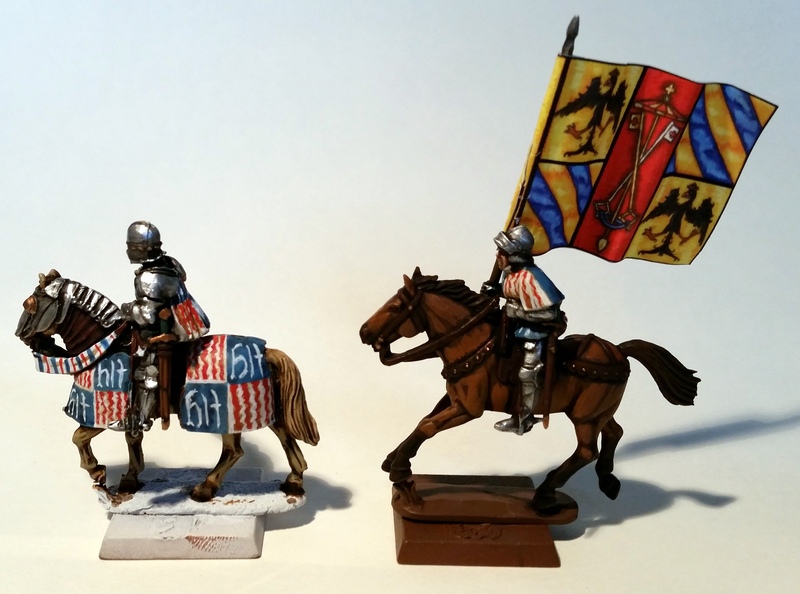 There are more different bodies and heads in the kit, but these I used for my Flemish. Painting-wise I thought long and hard on the colour scheme for the undergarments. We know that the lowly sergeants among the Hospitallers did not wear the traditional colours of the order, so I had free rein with the palette. Ultimately though, I decided to go with the same colours my Flemish have. It makes it so that I can unify the two armies at a stretch (although different in equipment) and I can certainly use their archers and crossbowmen for this force as well.